New research says that fewer than half of the 11 million 3DTV-ready homes in the UK in 2016 will be active and regular users of 3DTV content. In 2010, almost 90 per cent of homes with 3D-ready sets were ‘active’ users, according to the research. This much higher proportion results from early-adopters being significantly more likely to sign up for 3D content services, coupled with operators making content available for free to build some scale. As 3D becomes a ‘default’ technology embedded into more and more sets as standard, it will reach consumers who are not particularly interested in the technology and so the ‘active’ percentage will fall, suggest the findings from Informa Telecoms & Media. “3DTV has the backing of the major UK broadcasters like Sky and Virgin, and most recently the BBC announced its plans to show the Wimbledon final in 3D for the first time. However, despite this, public reaction has been mixed – due to both a lack of content and a simple failure of the public to engage with what is, essentially, a new type of viewing experience,” commented Adam Thomas, Senior Analyst and author of Global 3DTV Forecasts. Nevertheless, Informa suggests that there will be significant growth in the penetration of 3D-ready sets, with one in three households in the UK owning a TV set with 3D capabilities by 2016. But this growth is being driven by a change in strategy amongst consumer electronics (CE) companies. 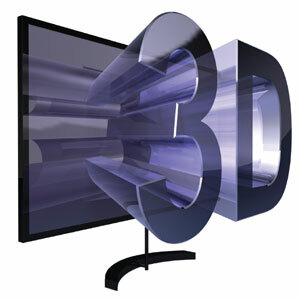 At launch, 3D was marketed as the ‘next big thing’ for the mainstream TV viewing experience – the natural successor to HDTV. Informa notes that with mainstream adoption becoming a much harder sell, the emphasis has changed to a future-proofing strategy. By depicting 3D as the cutting edge of technology, CE manufacturers can use it to attract TV set buyers by convincing them that a compelling 3D environment will eventually be in place, so they should equip themselves for it now. “Irrespective of existing public demand for 3D, major set manufacturers (Samsung, LG, Panasonic, et al) increasingly see 3D capability as a feature that they must include in their sets, or the perception will be that rival manufacturers are producing a technically-superior product (with 3D included). The result is that an increasing proportion of TV sets are having 3D capability built into them. But instead of a USP, 3D is now often marketed as just one of the set’s benefits – along with features such as Internet-connection capability and LED backlighting,” Thomas continued. The Informa view remains that the short-term impact will be limited, but 3DTV-capable sets will have long-term mass-market penetration, driven by major CE manufacturers embedding the technology in the majority of their sets. However, it anticipates that use of the 3D capability will be limited in homes, often restricted to major events where a 3D viewing experience will be sought for its novelty value. “We do not share the view that 3D represents the obvious next evolutionary step for TV, in the same way that colour followed black and white, or HD is following SD. A case can be made that colour and HD offer noticeable enhancements to the technologies that preceded them. But 3DTV is less of an enhancement and rather more a new type of viewing experience – one that many people will enjoy, but some way from becoming ubiquitous,” concluded Thomas.